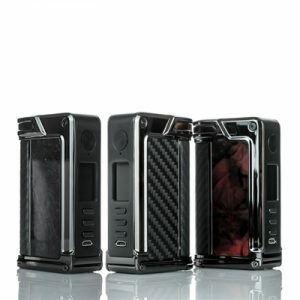 Wismec introduces their Sinuous Ravage 230W Box Mod, featuring a beautiful 1.45 inch color screen display, updated centered 510, and is powered by two high amperage 18650 batteries (sold separately). 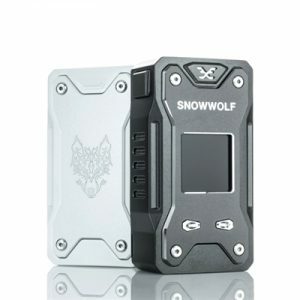 The Sinuous Ravage 230W Box Mod is capable of running up to 230W of power and includes a full temperature control suite with native support for Ni200 Nickel, Titanium, and Stainless Steel heating elements alongside adjustable TCR support. 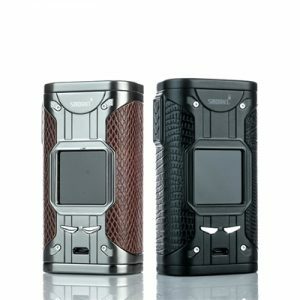 Wismec introduces their Sinuous Ravage 230W Box Mod, featuring a beautiful 1.45 inch color screen display, updated centered 510, and is powered by two high amperage 18650 batteries (sold separately). The Sinuous Ravage 230W Box Mod is capable of running up to 230W of power and includes a full temperature control suite with native support for Ni200 Nickel, Titanium, and Stainless Steel heating elements alongside adjustable TCR support. The Sinuous Ravage 230W Mod has a three button controls, two adjustment buttons and a squeeze fire button. 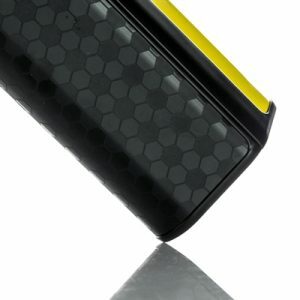 Wismec’s Sinuous Ravage 230W Box Mod is and easy to use, yet powerful device that is perfect for all users!